I hope you are having an awesome week. Mine is surprisingly better than expected. I was nervous about the transition back since our mini Florida vacay, but all has been smooth sailing! The countdown to Thanksgiving break is on! 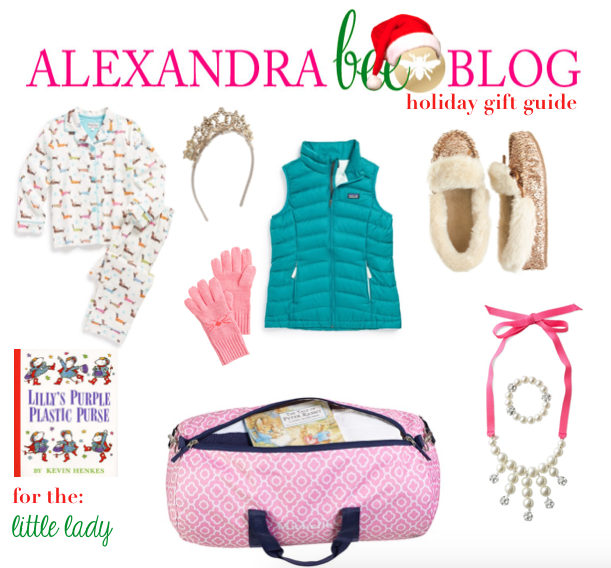 I am SO excited today to bring you my first round of holiday gift guides...ladies first, of course! 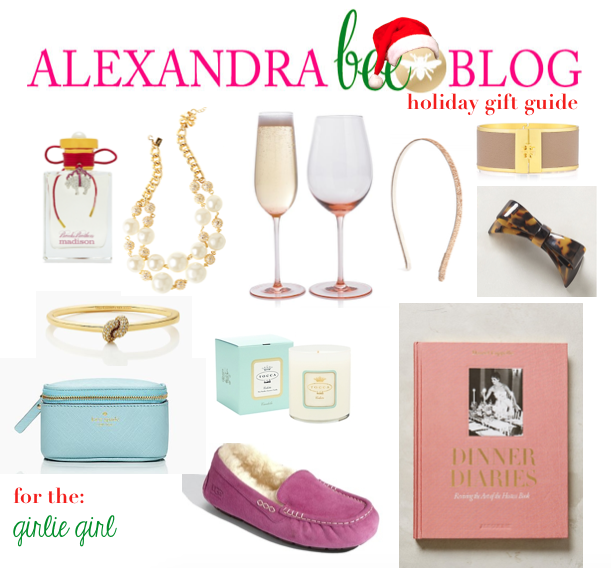 Below you will find six gift guides to cover all the best ladies in your life. Some of the pieces I have featured are personal favorites that I already own and others come from my very own wish list. Show your bestie just how special she is for you with the perfect present! Kiss the cook this holiday season and your tummy will thank you! Glitz & Glam are always at the top of this girlie girl's list! Details count when shopping for the person that always makes you feel right at home! And finally, we couldn't forget the little ladies! 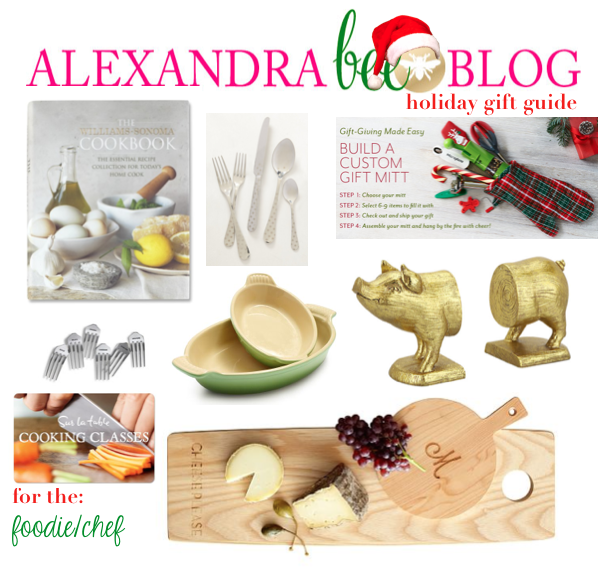 I have also created a Pinterest board with all of these gifts and more that I will continue to update throughout the holiday season. 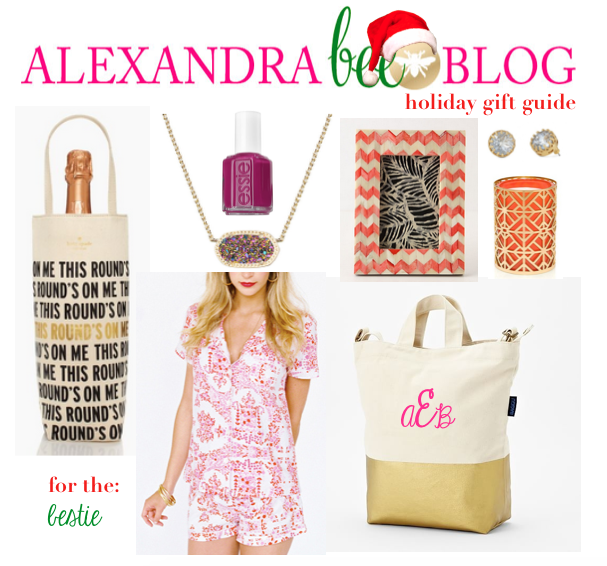 Check it out here at: Holiday Gift Guide: Ladies. You can see the rest of my boards and pins by clicking here. Did you have a favorite? Mine is the "Nester" guide! What are some of your favorite go-tos for gifting? I guess I'm schizo because I fall into - and love - the goodies in all of these categories! I love all of these suggestions! That Kate Spade purse would be a perfect color for the spring! Love all of these! Thank you for the great ideas! love those tall Tory boots! My mom is obsessed with pigs (they are good luck in Germany) so those piggy bookends are PERFECT for her! Thanks! 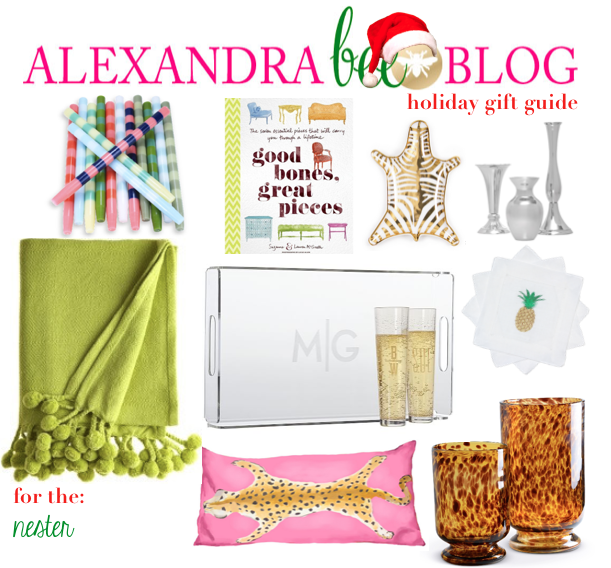 I love all of the gift guides.. I have to say my favorite is the nester also! I love that Kendra Scott necklace. It is on my wishlist as well. I love them all! I am absolutely in a nesting phase right now having been in my place for a little over 6 months- so that board definitely speaks to me! Thanks for sharing!! You have the quite the talent...shopping, Allie. These are fantastic. Love the Little Lady one. I pinned them all to my Pinterest boards, and realized I wasn't following. Changed that, too. Love these - especially the little lady list! !